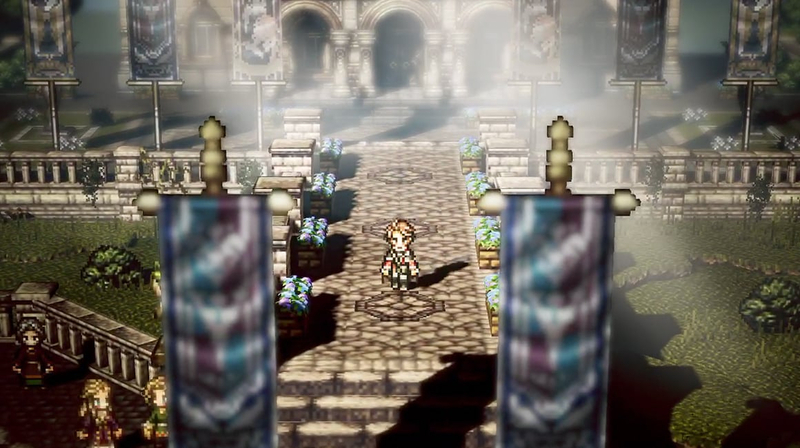 The announcement of Octopath Traveler: Champions of the Continent seemed to come out of nowhere. No one was expecting more from the Octopath Traveler world so soon after the Switch game, nor did they expect a mobile title! Wondering why Square-Enix decided to go mobile with this spin-off? Octopath Traveler planner/producer Tomoya Asano explains in a Famitsu interview. When we announced Octopath Traveler and were advertising it, we heard a lot of people say that the game “looked fun,” but they “didn’t have a Switch.” So, we wondered: “If we developed an Octopath game for smartphones, would more people be able to play it?” That was our impetus. We also learn when development on Octopath Traveler: Champions of the Continent started. Believe it or not, the mobile game was being worked on even before development of Octopath Traveler proper was wrapped! Such a bum move IMHO. I would be sour if I was anyone involved in the exclusivity deal on N’s side of things. It waters down the impact of pursuing exclusive content from 3rd party developers.